Successful individuals all have common traits. One of the most common traits is that these individuals are driven. They are driven by their desire to succeed in all aspects of life, whether business, family, community or philanthropic. Where each individual and business differs is in exactly what drives them and what is most important to them. This is why they do what they do. Working with these individuals, families and businesses, Nader has found tremendous success by focusing on what is most important to his clients. What motivates them to do what they do, and why do they do it. By working closely with you and with the aid of TD's innovative Discovery tools, Nader's goal is to articulate your drive and define it into specific goals. 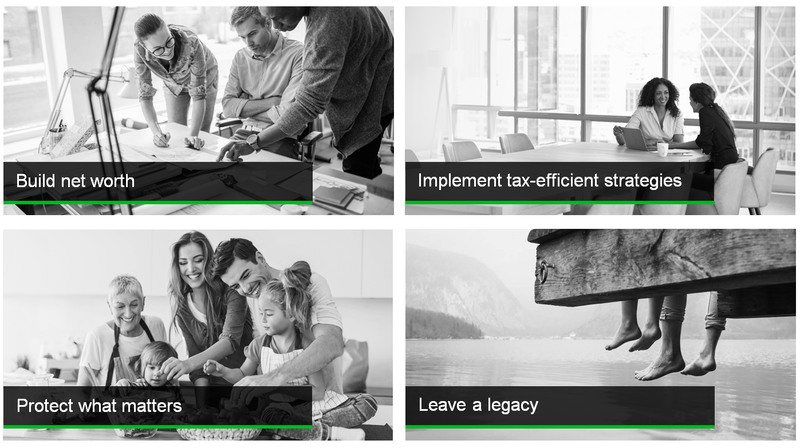 In collaboration with TD Specialists, you will be presented with your own custom Wealth Plan. Each plan will outline your unique wealth goals and present a road map on how to get you there. Those goals can vary from preparing for and managing your retirement and income during retirement, reducing the burden of heavy taxes, funding education, protecting your income, managing portfolio risk, caring for loved ones, maximizing philanthropic pursuits, or protecting your estate from erosion or assisting in the management of an estate. Nader's success lies in large part due to his strong belief in the fundamental principle of always placing his client's interest first. By exercising this principal in every aspect of his practice, clients can rest assured knowing the advice received is objective and unbiased. He believes that they find comfort in knowing that we can be trusted as the shepherd of their financial assets and are responsible in the oversight of their financial health. By implementing a fee-based practice, as opposed to one compensated through transactional, embedded or hidden commissions, Nader can eliminate any perceived conflicts of interest. Our compensation is driven by the portfolio’s success and not by transaction volume. Together with our clients, we are free to make decisions based on investment merit, and not on commission. The added value of fee-based solutions is obvious: our clients are paying for advice and service, not just for products and trades. Another main factor behind the growth in fee-based solutions is the up-front tax-deductibility of the fees for clients in non-registered accounts. Detail oriented and results focused, Nader believes that he owes his success to the depth of his knowledge, his incredible dedication to his craft, his clients, and his team. Above all his reputation stems from the absolute respect he demonstrates in the treatment of his client's hard-earned assets. He brings his unique analytical skill set to every client meeting to help pinpoint problems and identify solutions. A computer engineering graduate, Nader found his passion in the field of financial services and advising clients on how to navigate difficult financial decisions. He began his career in the industry in 2004 and became a licensed Investment Advisor in 2005. He joined TD Wealth Private Investment Advice in 2014. Nader holds his Chartered Investment Management (CIM®) designation, recognized as one of the highest professional titles in Canada, which enables him to provide high-level investment strategies tailored to affluent clients. He also holds the designation of Certified Financial Planner or CFP® professional, issued by the Financial Planning Standards Council. He is also a Financial Security Advisor through TD Wealth Insurance Services. Nader Nasr, is a registered Investment Advisor with TD Wealth Private Investment Advice, qualified in securities (common and preferred stock, ETFs, bonds, income trusts, GICs, hedge funds and options trading) as well as mutual funds for the following account types: RSP, non-registered Canadian dollar and US dollar accounts, TFSA, RIF, LIRA, LIF, Registered Education Savings Plans (RESP), RPP, and more. 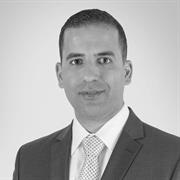 Nader is also registered as a Financial Security Advisor with TD Wealth Insurance Services. Green Point Private Client Group is a part of TD Wealth Private Investment Advice, a division of TD Waterhouse Canada Inc. which is a subsidiary of The Toronto-Dominion Bank.